This week saw the Delhi launch of the Lancet Nutrition series. Ahead of the launch a group of senior nutrition experts and paediatricians in India wrote an open statement that contained the following sentence. "The call for engaging with the "private sector" and unregulated marketing of commercial foods for preventing malnutrition in children raises serious concerns. The inherent conflict of interest will ensure that commercial considerations override sustainable nutritional goals." The series said nothing of the sort. Paper 4 of which I was a co-author says we should engage with the private sector, but on the public sector's terms (i.e. in the areas they want, for the groups they want and with the regulation and risk assessment they demand). Unfortunately this private sector stuff is pretty much only what the Indian newspapers wanted to talk about. They should be asking why the Government has not collected any national nutrition data for 7 years. The inability to have a debate on the rules of engagement with the private sector is costing children's lives and wellbeing. And the stand-off is so pointless because the private sector is already incredibly influential (nearly a quarter of all Indian kids in the upper income quintile are stunted--these households use the market to provide for most of their food, water, health and sanitation needs). 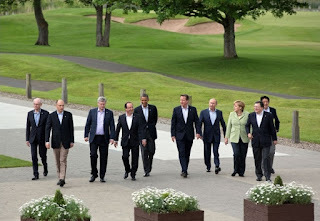 Relatedly, President Obama was in Africa to promote the G8's New Alliance for Food Security and Nutrition. The Alliance is a trio of commitments from African leaders, private sector partners and the G8. The imbalances of power between the public and private sector in food and agriculture makes the meeting of these conditions difficult but not impossible. Underpinning all of this is transparency. I don't believe transparency is sufficient, but in this area of power imbalances around hunger and nutrition, I feel it is necessary. Whenever the public sector engages with the private sector, the agreements, conduct, profits and impacts on hunger and malnutrition have to be public. Oh dear, the current edition of Foreign Policy (FP) has yet another article about Jeff Sachs: "Does it Take A Village?" Quite what this story is doing in the "Failed States" edition I don't know, but there is absolutely nothing new in it. The story revolves around the Millennium Villages story of a year ago in the Lancet when I and a few others wrote a letter pointing out a few basic flaws in a Lancet paper from Sachs' team purporting to show the MVP's positive effects on a range of development outcomes. The point of the FP article? As far as I can tell, to call some of those people up and ask them about the one year old story. I'm surprised they bothered cooperating. I'm surprised they could even remember it. 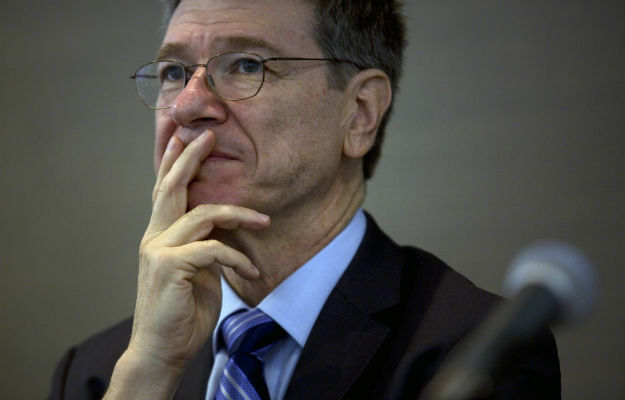 I think Jeff Sachs has some flaws (newsflash 1--we all do) but I also think he has some tremendous strengths (newsflash 2--we all don't). It's time to stop Sachs-ing up stories with tittle tattle about the Prof. While FP should be writing about the next set of Global Development Goals, it is writing this piffle. FP, you should be embarrassed. So the UKIP effect begins to bite. 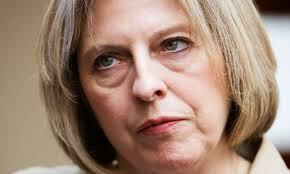 The UK Coalition Government is flirting with Immigration Bonds. 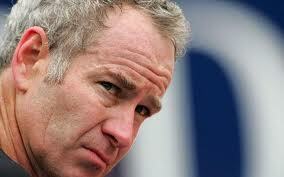 The Wimbledon tennis tournament has just begun in the UK and John McEnroe is commentating. So, right on cue, many of us are saying "you cannot be serious". In short, the UK government, from November, plans to charge 6 month immigrants from India, Pakistan, Bangladesh, Sri Lanka, Ghana and Nigeria £3000 to come to the UK. Individuals get it back if they do not violate the terms of their visa. Given the mean national income of the 6 countries, this is like charging a UK immigrant £30,000 to go to the USA. "The UK Government announced its intention to consider trialling the use of financial bonds as a way of tackling abuse in the immigration system some time ago. Since then, discussions have been ongoing within the UK Government about how and when to implement the proposed trial. The details of the policy are still being finalised. Ghana is being considered as a pilot country, along with many others, but no final decision has yet been made. In the event that the pilot scheme goes ahead, the vast majority of visitors would be processed in the normal way. Only a very small number of the highest risk visitors would be required to pay a bond, and the bond would be refunded once the visitor returns home. The scheme would be limited to a select group of countries for the pilot only. If the pilot were successful, the full scheme would be rolled-out worldwide, and high-risk visitors of all nationalities would be required to pay a bond." “If the pilot were successful...". But what is success? The scheme may keep abusers out (although many doubt it will) but what about the risk it will keep law abiding citizens out too? These are citizens who study at our universities, form bonds with the UK, invest in it when they return, work hard when they are here and tell the world about our good values. And what about our standing in the world? It is distressing enough to see UK customs officials predominantly only stopping people with dark skin at the border. Now they have to pay for the privilege. So this "pilot" will only affect 6 countries (accounting for about a quarter of the world's population no less) and those with 6 month visas, but if successful it will be extended to all countries and all visas! Well, if it gets implemented (and there is some hope David Cameron will kill it) let's hope it is evaluated with a broad definition of success. If it is I am sure it will show the damage that it surely will do to our country (and probably already has done according to the media in India, Ghana and Nigeria). Then Mr. Cameron can forget about UK PLC and UKIP and begin coming to terms with UK RIP. Double Burden of Malnutrition: Time to Drop "Double"? One of the things that is apparent from the recent Lancet Nutrition Series is that it is becoming more and more difficult to keep the under and overnutrition agendas separate. It is really tempting to keep them separate. First, dealing with undernutrition is difficult enough without having to deal with overnutrition (basically overweight and obesity and the related chronic diseases of diabetes, coronary heart disease, high blood pressure and some forms of cancer). And of course, dealing with undernutrition is one great way to help prevent overnutrition later in life. In addition, dealing with overnutrition means having to grapple with the food industry and a whole range of factors outside of nutrition's comfort zone: urban development, education, trade, taxes and agriculture for example. Also, there aren't exactly a range of interventions and policies that have been shown to be effective to inspire us to ramp up action on the overnutrition front. Finally, it is not easy to get research funding to address the two in an integrated fashion. But I think the separation (which I have also contributed to) is no longer sustainable. First, overnutrition does not operate a different space: it is not just a later in life phenomenon--it is happening to under 5's; it is not just in urban areas and it is not just in middle and upper income countries--it is everywhere. Second, the undernutrition community can't avoid engaging with the private sector--not having to deal with the private sector is no longer a reason for not getting involved overnutrition. Third, we now know that the fight against undernutrition has to go way beyond health, and into the wider development space. This is something even more obvious in dealing with overnutriton. All the reasons for separating the two are dissolving. So, seemingly, something that is difficult (undernutriiton reduction) just got much harder (dealing with under and over nutrition). But is that really so? Can an integrated approach help us address both issues better? I think that may be the case. Making development more nutrition sensitive and making nutrition more politically aware surely brings the worlds of over and undernutrition together, indeed, shows they were never that far apart in the first place. They should no longer be separated at birth. In this context, a new World Bank review of Global Evidence on the Double Burden of Malnutrition from the World Bank (by Roger Shrimpton and Claudia Rokx) is comprehensive and well done, but depressing (coming soon on the World Bank website). It is depressing because it shows how divided the two camps are and how that is to neither's advantage. Beyond the physiological linkages there has not been much thinking in the past 10 years on how to bring them together in the policy, programme, training, communication and advocacy spaces. Perhaps the time is only now right to do this. A paper in the Lancet from December 2012 by Moodle et. al. ("Profits and Pandermics") draws the parallels between the practices of the tobacco, alcohol and "ultra-processed food and drink" industries. They conclude that "despite the common reliance on industry self-regulation and public-private partnerships, there is no evidence of their effectiveness or safety". 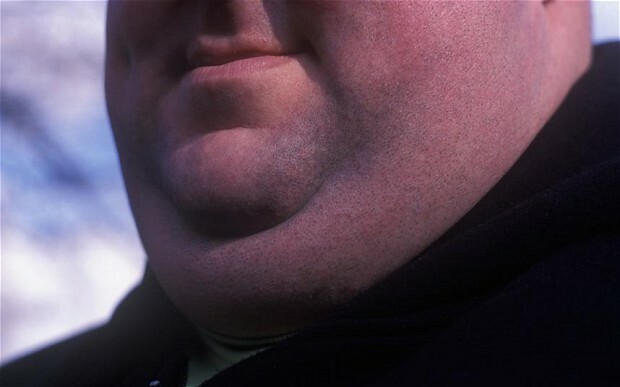 I think the evidence base upon which they draw is weak (not their fault), but their conclusions are in accord with my own sense of the situation and indeed I made the same parallels in Development Policy Review paper from 2003 where I go through the various triggers for successful government regulation of tobacco an see how they apply to obesity. I think policymakers are about to get a wake up call from advocacy groups, consumers, the health community, and even some industry leaders, to do something. The Double Burden is here to stay. Perhaps it is time to drop the Double (on the double). In these days of Edward Snowden and his unveiling of "the largest program of suspicionless surveillance in human history" combined with the drive to uncover firms that are salting profits away in tax havens it is hard to be anything but on the side of transparency. After all, "transparency is the best disinfectant" as politicians from Louis Brandeis to David Cameron are fond of telling us. 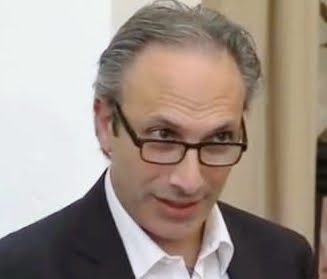 But a paper I came across by the George Washington University sociologist, Amitai Etzioni in the Journal of Political Philosophy from 2010 argues that transparency is overvalued. When information costs are high and when the personal stakes of relying on transparency are also high, transparency is much less useful. The paper argues that transparency is no substitute for effective regulation, and indeed that regulation is a much more powerful way of expressing a community's values. 1. Strong transparency is regulation -- when something is required by law to be published, and required to be understandable and true (and enforced). 2. But because strong transparency is so rare (it is hard to develop law to make things transparent, understandable and true and then enforce that in a timely way), it transforms into soft transparency and weak regulation. Can softer forms of transparency help substitute for regulation? 3. No. First, there are limits to knowing. 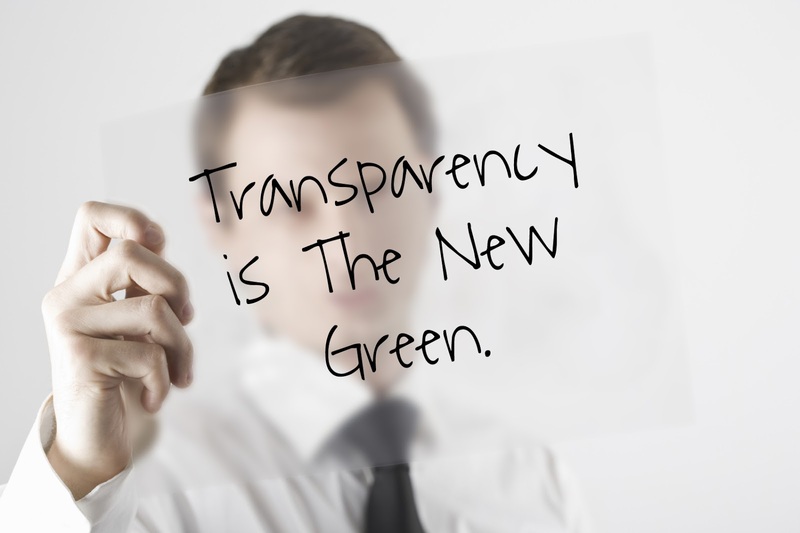 Transparency often demands disclosure, but not effective communication. Second, can intermediaries help us sift the data? Up to a point--we still don't know which is the most reliable, and then who will guard the guardians? Third, more information does not necessarily lead to better choices and can often lead to stasis and information overload. 4. The difference between transparency (welcomed by the laissez faire types and the libertarians) and regulation (usually unpopular with the same crowd) is smaller than it may at first seem. 5. The paper concludes by saying "When all is said and done, there is room for increased, validated, and comprehensive transparency (and vetted intermediaries). However, it is not sufficient protection when the disutility and the information costs are high—and often even when they are not." So where does this leave us? First, more transparency in itself is not necessarily a good thing--it has to be true and easily understood (the new food labels in the UK have to be a good thing, right? Yes, but they are still voluntary and Coca Cola are not playing ball). Second, even if it is both these things, when the downsides of a bad choice are significant, transparency is no substitute for regulation (does the PM think transparency can let him get by with light regulation?). 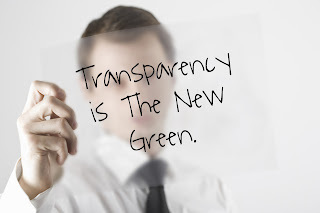 Most development people I know see transparency as a complement to--or starting point on the road to--regulation. In any case, an interesting, short and well written paper reminding us not to be unthinking "transparenistas". 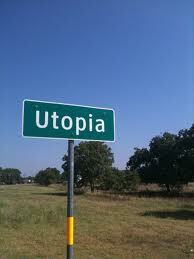 Three stories for you today, all with a link to utopia. The first is a nice article from David Rieff in Foreign Affairs ("The Singularity of Fools") about the "headlong rush to believe in technology, Utopian or otherwise, seems like the optimism of fools". The article is a critique of the assumptions many of us make unthinkingly when it comes to development. For example he says the "rise of authoritarian illiberal capitalism may prove to be just as successful as the liberal variant of the system". The paper is basically an argument against a homogenised view of what "decent societies and a decent international order look like". It is good to hear these arguments in the context of the post 2015 debate, to remind ourselves of the singular paths to development that most rich countries have taken (and been allowed to take), although I do find the article a bit too depressing. Optimism is great as long as it (like anything else) is not unthinking. The second is a piece in Foreign Affairs on Africa by Mohamed El-Erian the CEO of global investment management firm Pimco ("Into Africa"). I really like the way in which the narrative has changed about Africa--from "out of" to "into"; from "heart of darkness" to "land of opportunity". The macro statistics are really encouraging and the micro ones are improving. The challenge is to sustain and convert this into people-centred improvements in wellbeing. Opportunity for investors does not automatically equal opportunity for ordinary citizens. Optimism, yes, but don't over-Utopia Africa just yet. On to our final Utopian story, the UK's Research Excellence Framework (REF), from the Times Higher Education Supplement magazine ("Refereeing the REF"). The UK government ranks each University department and then allocates funds on the rational basis of this measured excellence (IDS is not part of the system as we do not qualify as a separate university). This is a fun pro and con article by wife and husband team, Amanda Goodall and Andrew Oswald, two senior academics in the UK system. He is anti REF and she is pro. As in any good debate, the arguments are compelling on both sides. On the pro side--the REF promotes a stronger research culture, makes faculty hiring more transparent, and leads to an increased chance that funds follow better research. On the con side: the framework is too risk averse (big ideas suffer and so does interdisciplinary research), books, which might be read by the general public to generate impact, are disincentivised and less attention is paid to teaching and other jobs. For me, the cons have it--just. I applaud the goal--to recognise and reward research quality in a comparative way--but I suspect the REF creates all kinds of incentives that risk devaluing the overall research culture--to make it more competitive than cooperative. I'm sure there is research going on now to test that hypothesis--I just hope it gets published in a high impact journal or we may never hear about it. What do the reviews say about the High Level Panel's Post 2015 Report? I have been looking at the 76 reviews/responses to the High Level Panel's report listed on their own website. I have not had time to read all of them (note for development students: a good topic for a content analysis--see the above graphic from youthpolicy.org) but here are some conclusions from a scan of some of the more interestingly titled ones. People like much about the report (the phrase "glass is 2/3 full" is Charles Kenny's verdict). I'm not going to focus on that. The absence of an inequality goal: the leave no one behind narrative is welcomed, but what about the extreme concentrations of wealth at the top end? Lack of a focus on concepts such as wellbeing which would have made the definitions of poverty less "old school"
Worries about dilution over the next 2 years--will this survive the Open Working Group process? I note that the word "people" does not appear in the word map above.... I also note that the vast majority of comments are from outside of Asia, Africa and Latin America. Still, 2/3 ain't bad, for now. 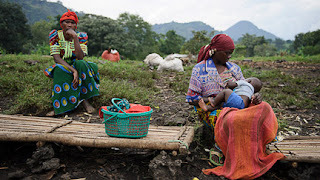 The new Lancet series on maternal and child nutrition was launched yesterday. (Declaration of interest--I was one of the study team). 1. Undernutrition is the underlying cause of 45% of under 5 child deaths. This is up from 35% from the last series in 2008, largely because the total number of deaths has gone down but the percent from undernutrition has not declined as fast. Put this with 11% GDP loss due to undernutrition from Steckel and Horton's latest estimates and the fact that less than 1% of ODA is allocated to nutrition. The mismatch is staggering. Number one reason for outrage. 2. 27% of all births in low and middle income countries are small for gestational age (not pre-term). Most pregnant women living in poor contexts do not access nutrition services (if at all) until month 5 or 6 of pregnancy, which is late. This reinforces the need to make sure women are well nourished going into pregnancy--for themselves and for their children. It also focuses more policy attention on young girls, 10 million of whom are married before 18 years of age. Number two reason for outrage. 3. The numbers of under 5 year old children that are stunted stands at 165 million and with business as usual those numbers are projected to decline to 127 million by 2025. The World Health Assembly Targets are 100 million stunted children by 2025. If we can get that close to the WHA targets through business as usual, surely the targets are too timid and are a weak accountability tool? While the poverty world is aiming to end poverty (see the recent High Level Panel Report), the nutrition world is being complacent. 4. Scaling up 10 nutrition specific interventions to 90% will reduce stunting prevalence by 20% and severe wasting by 60%. This would comfortably exceed the WHA targets. The incremental costs of doing so is estimated to be $9.6 billion for the 34 highest burden countries. More than half of this amount is accounted for by India and Indonesia which will rely heavily on domestic resources. Consumables (drugs, and other items for transport and administration) come to less than half of the $9.6bn, and all but the very poorest countries can be expected to cover personnel costs. So an extra $3-4 billion per year from external donors will make a substantial difference to maternal and child nutrition. The current spend is between $400m and $1bn. Number four reason for outrage. Nutrition for Growth pledgers--surprise yourselves on Saturday. 5. 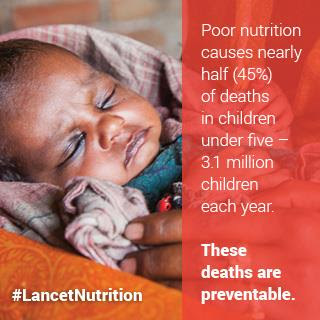 For the first time nutrition sensitive programmes were analysed by the Lancet series. These are programmes that address the underlying determinants of fetal and child nutrition and development--food security, caregiving, health services, social protection, safe and hygienic environment--but also incorporate specific nutrition goals and actions. The message here is that these programmes are not "design-proof". In other words, if they are to have an impact on nutrition, surprise, design matters: they should target the first 1000 days, they should empower women, they should work in the poorest areas, they should be of the right duration and they should improve the quality of services as well as the demand for them. The presentation of this paper yielded an interesting discussion about the nature of evidence. The Lancet paper focused on micro-studies, looking for RCTs when available but not restricting themselves to such. Nevertheless, two very senior and world class agricultural economics commentators pointed out that the medicalisation of evidence risks ignoring vast swathes of other types of rigorous evidence which make a strong plausible case that food and agricultural policies affect nutrition, even if they do not make it into the evidence pool of narrow systematic reviews. The issue that came up in the discussion is: how do we incentivise these programmes to work for nutrition? One answer is to embed nutrition specific interventions within these nutrition sensitive programmes because the latter can achieve scale and because synergies are likely to be generated between specific and sensitive. But the incentive issue is more difficult when it comes to food systems--how do you incentivise the food system to support healthy growth (whether avoiding under or overnutrition). We are not devoting enough energy to this. The paper I was involved in with Stuart Gillespie (co-lead with me), Venkatesh Mannar, Purnima Menon and Nick Nisbett, deliberately chose to focus on the politics of malnutrition. All development is political and so why would we expect nutrition to be any different? In fact the returns to a political analysis for nutrition are likely to be high--many actors, with different agendas, different power levels, amid a sea of invisibility and asymmetric information--sounds like a definition of Politics 101. We talk about the need to understand politics if we are to build and sustain commitment and then turn it into impact. We focus on framing, evidence, governance, accountability, commitment, capacity and resource mobilisation. 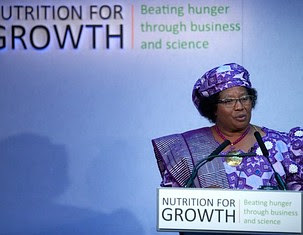 Malnutrition is more than a technical, health, policy, programme and economic issue, it is political. Treating malnutrition as an apolitical issue is outrage number 5. 7. Private sector--deal with it. We dealt with this in our Paper 4. The basic messages: (1) the private sector is already inextricably linked to undernutrition. The percent of foods and other nutrition relevant goods purchased in the market is rising inexorably, (2) there is lots of distrust of the private sector, especially the food industry. This is based on a troubling history of abuse and some continuing violations of the code of conduct for the marketing of breast milk substitutes. So the risks of getting it wrong are high. But the risks of foregoing the benefits of getting it right are also high, and (3) surely we can devise some governance structures that reward good behaviour and punish bad behaviour? There are plenty of ideas: registers of interest, embedding adherence to the Code in job descriptions of senior executives, strengthening whistleblower protections. There are things governments need to do too: enshrine Codes in law, make cross-border trading of fortified foods simpler, enforce simple labelling. Research funders and the research community need to be bolder in funding research to find out which business models work for nutrition and which do not. Children can't eat ideology. All sides need to engage. Failure to do so is my outrage number 6. Finally I just want to thank Prof. Bob Black, the leader of the Lancet series. He is an incredible intellect, an incredible manager, and a very humble guy who has nothing to be humble about. It has been a real pleasure working with him and the team of coordinators to get this done in 6 months. Expressing outrage is not just talking about it--it is doing stuff about it, stuff that often has a high personal cost. Bob has been an inspiration. 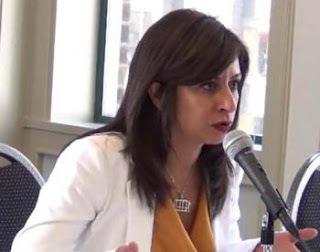 Nancy Okail is the Director of Freedom House's Egypt office. She and 42 others were arrested on Tuesday in a crackdown on foreign NGOs in Egypt. It is a sad day for democracy in Egypt. Nancy is an IDS alumna and a thoroughly impressive development professional and freedom advocate. See her in this chillingly prescient video interview from a year ago. Nancy is not in Egypt and was sentenced to a 5 year term in absentia. She is soft spoken but with a core of steel. You can follow her tweets at @NancyGEO. This is a quote from the linked CSM article. January 25 2011 feels like a long time ago. My IDS colleagues Jeremy Allouche and Jeremy Lind have just published their new report entitled A New Deal? Development and Security in a Changing World. It is a timely report. ODA is increasingly flowing to development in fragile and conflict affected contexts. In addition, there is growing pressure to stretch the definition of ODA so it can be used in a variety of ways by a variety of Departments. The report takes as a given that development and security are linked, but it explores the implications for development practitioners and policymakers. Using two case studies from Sierra Leone and Kenya, and an extensive review of several literatures, they argue that these trends require a new approach to development and security. The approach should place relationships with local provides of security and basic services at the centre of policy analysis. Much insecurity is local and development actors need to find ways to respond even though their influence is attenuated. The report argues that two concepts can help: entrustment and brokerage. The first is about transferring power to local actors to make decisions, define and assess problems and use resources to act on this. Brokerage is about building a shared understanding among actors with very different interests and different capacities to act in support of these interests. They conclude that aid agencies have not gone overboard with development and security--they have merely tinkered at the edges.